More often than not, when you think of luxury, images of fine champagnes, delicate perfumes and indulgent treats come to mind. Set on the shores of Lake Wakatipu, Peppers Beacon Queenstown is most definitely another side of luxury well worth experiencing. Peppers Beacon Queenstown is home to 84 guestrooms that range from comfortable hotel style rooms through to a luxurious 5 bedroom penthouse. Whether you only have a small amount of money to spend or you can afford to splash out on an indulgent stay, Peppers Beacon offers a wide range of rooms to suit most budgets and tastes. 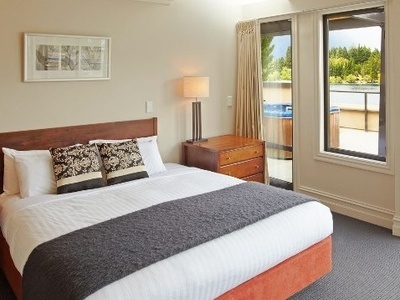 Fitted with king sized beds, stylish bathrooms, and offering views of beautiful gardens and the waters of Lake Wakatipu, the rooms are the perfect place to relax, unwind and soak up the city’s natural beauty. 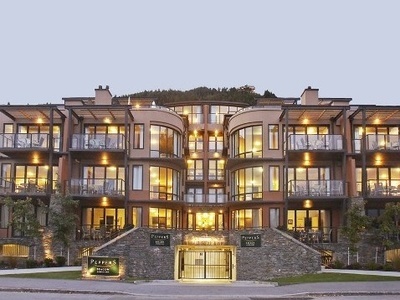 Situated just a short stroll from the heart of Queenstown, Peppers Beacon positions guests close to the city’s attraction, restaurants and breathtaking natural features. While there’s plenty to see beyond the hotel’s grounds, the gym, spa, sauna and barbecue area found on site provide plenty of good excuses to stay in and make the most of Peppers Beacon’s great facilities.